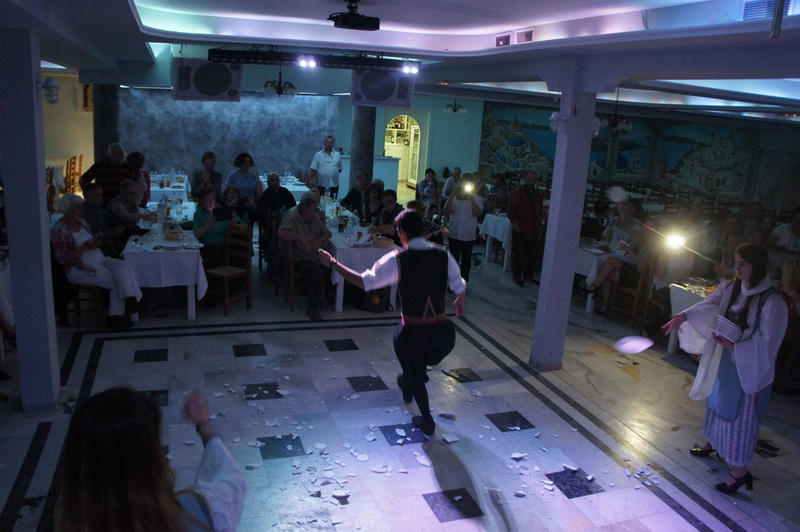 A lifetime entertaining experience you must live in Santorini! 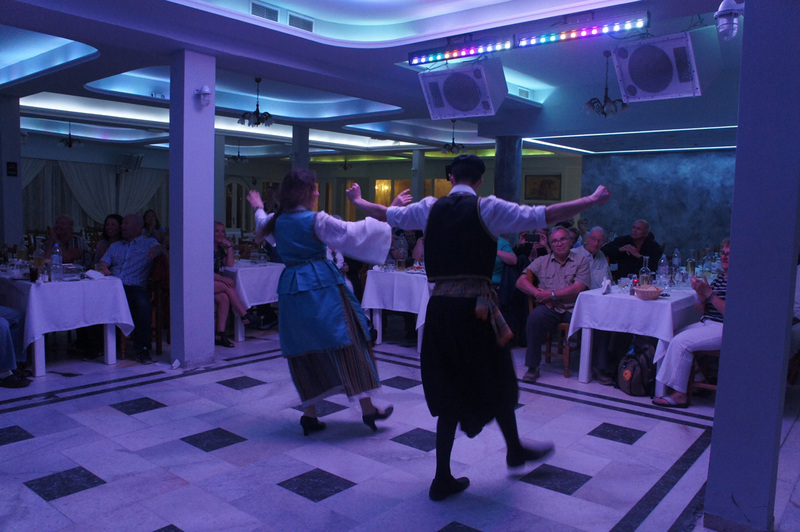 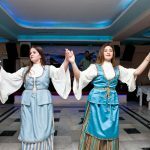 Traditional dances, joyful music and delicious menu plenty of tasty food in an absolutely warm environment with fully equipped facilities give the opportunity to remarkably enjoy your holidays in Santorini! 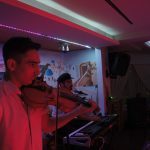 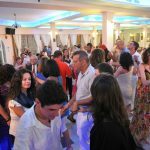 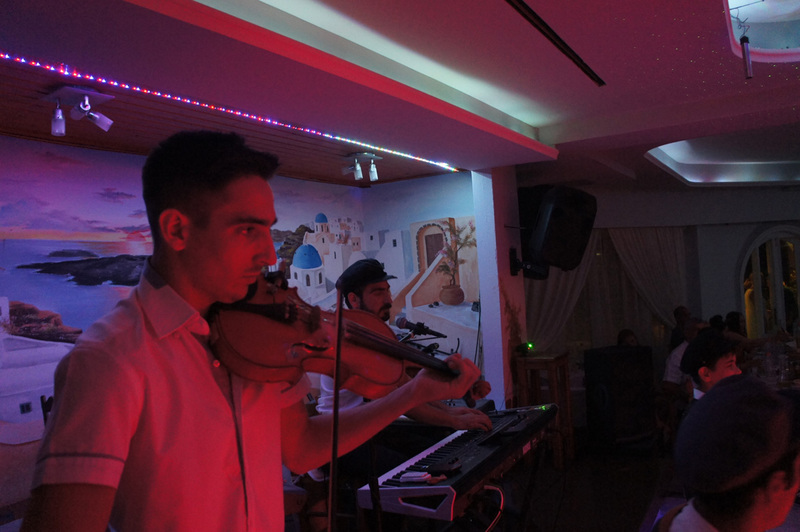 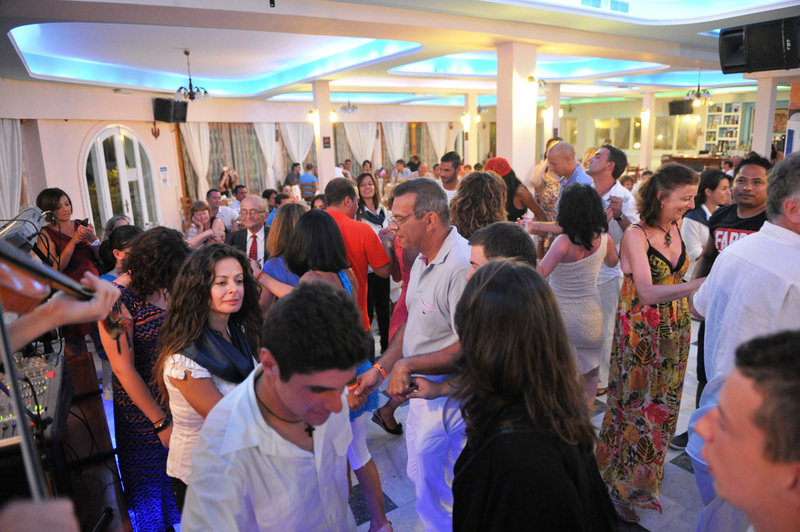 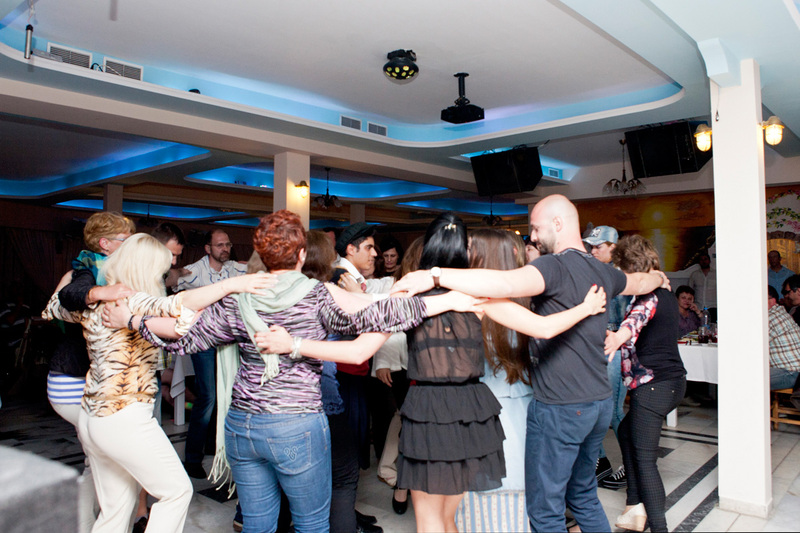 Try to resist being part of the traditional or modern dances following the vibes were sending by our tremendous traditional orchestra, Greek bouzouki or the Violin! 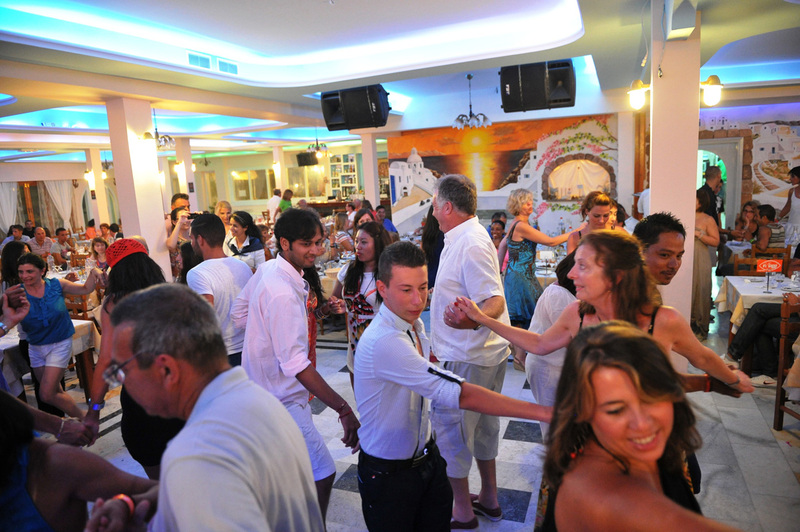 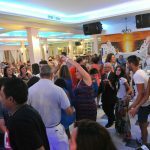 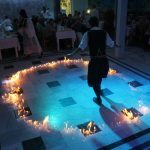 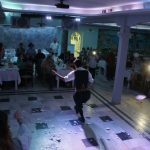 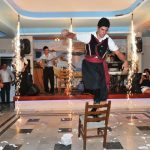 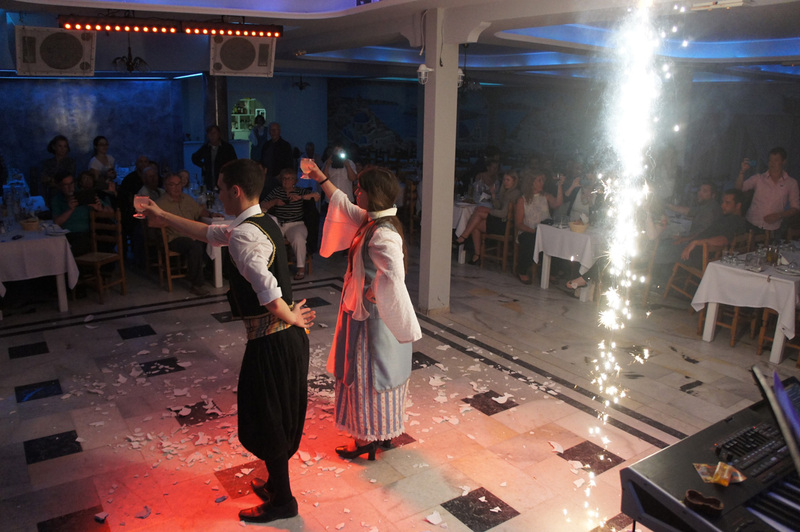 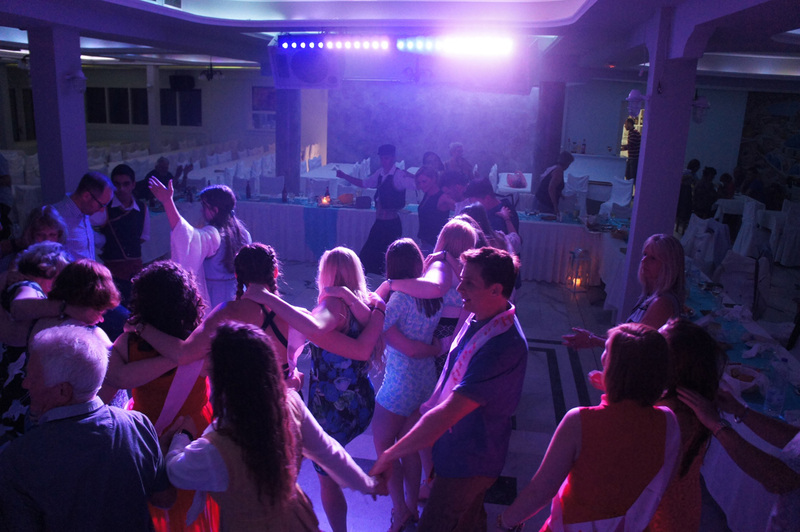 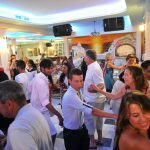 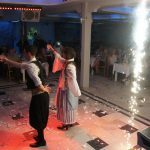 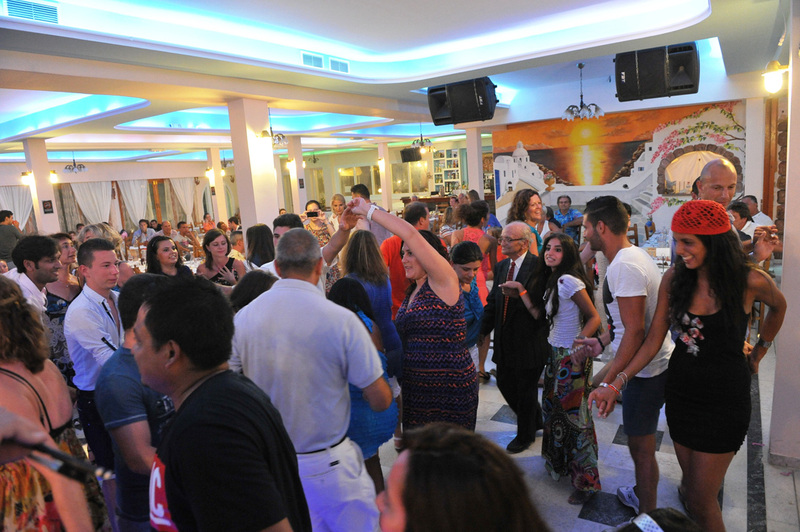 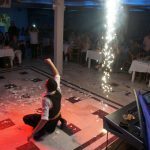 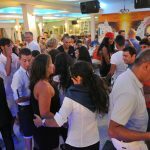 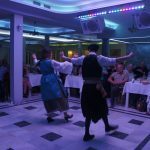 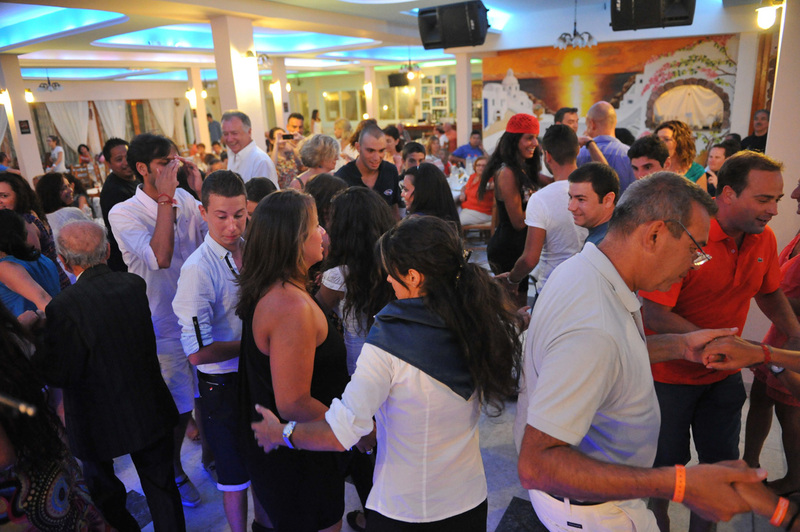 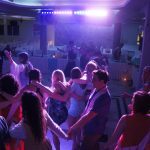 Experience in Dimitris restaurant Greek night show the famous fire dancing, plate smashing, or local Greek dances like Zorba and Syrtaki and spend some of your most entertaining moments of your life! 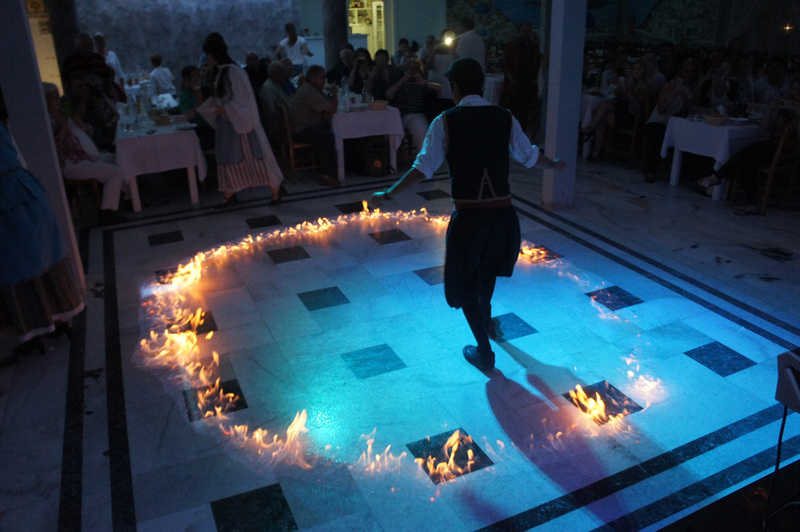 It is for sure one of the best things to do when you visit Santorini! 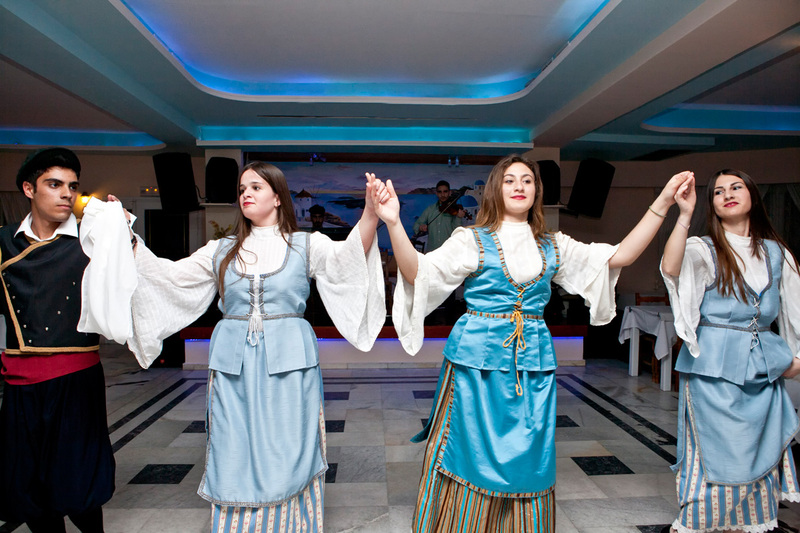 Join us in the Greek night! 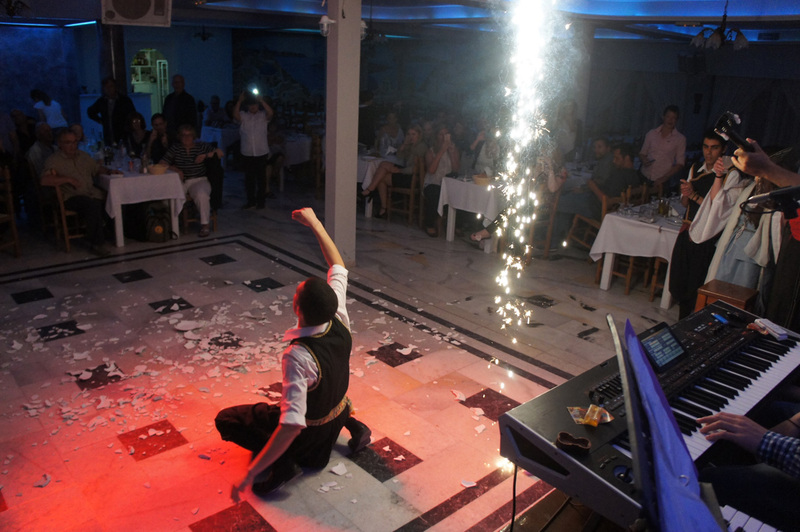 You may come at 20:00 to find your seats, at 21:00 the Show starts, at 23:00 the show finishes. 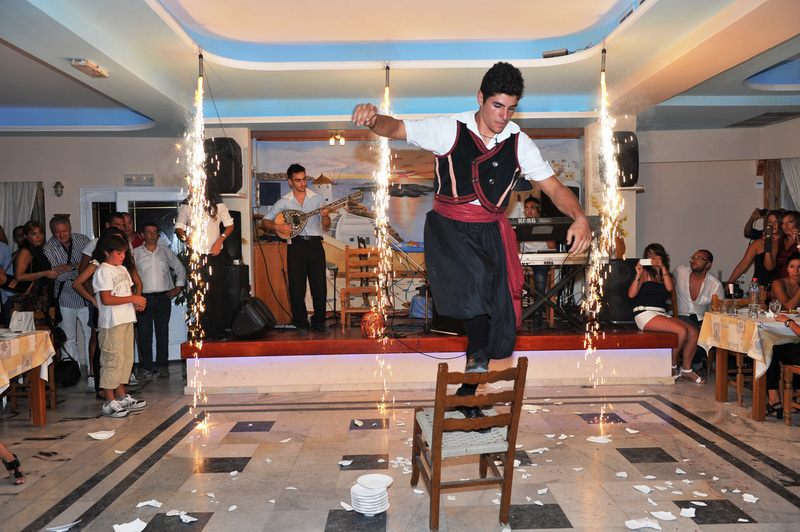 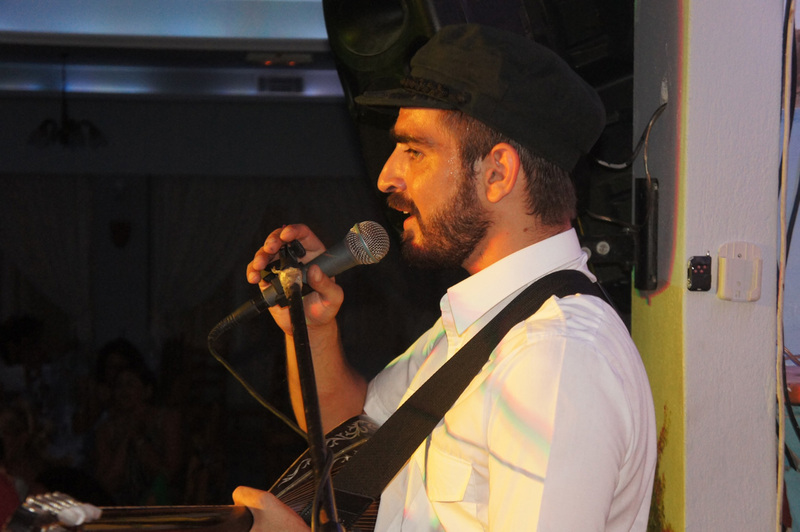 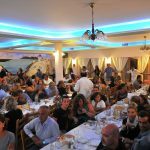 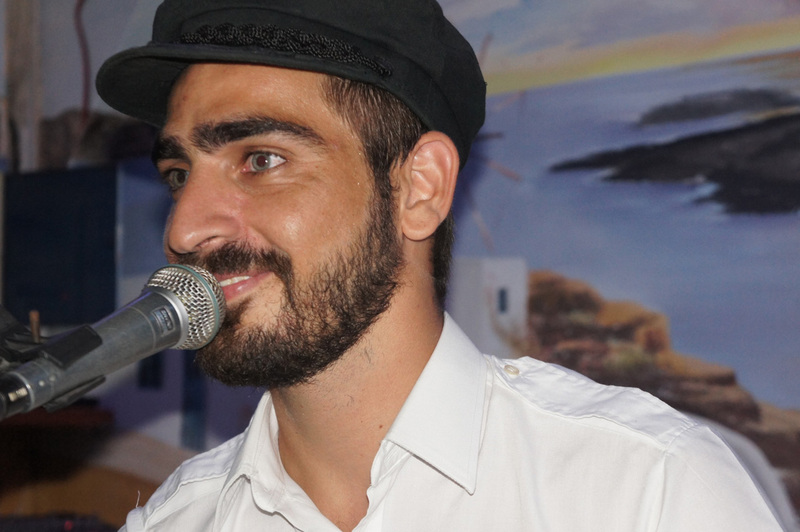 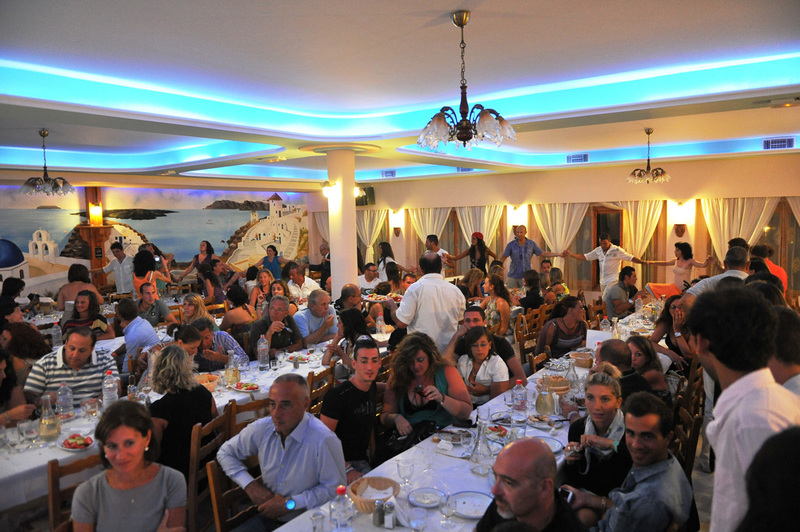 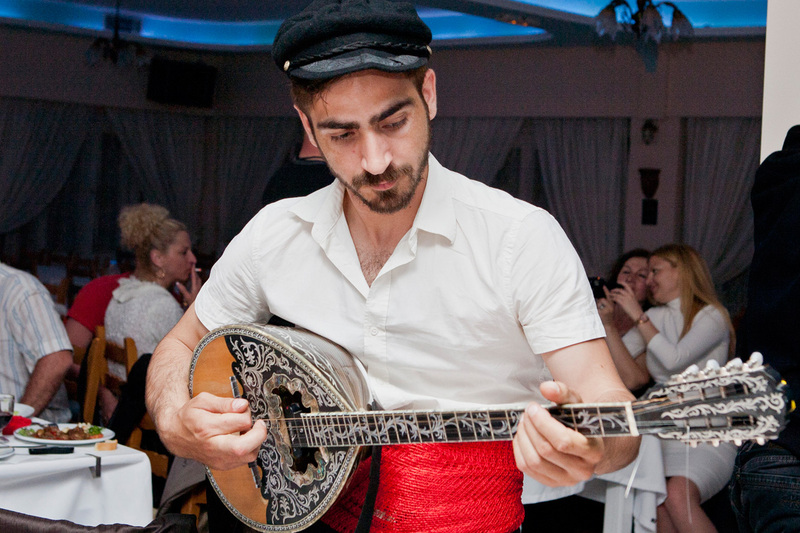 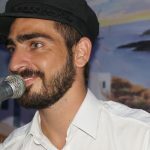 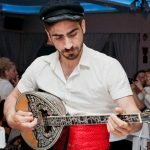 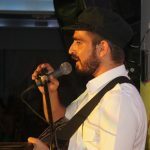 Dimitris restaurant stages the most authentic Greek nights in Santorini Island!